It’s that time of year again! Women in Horror Month! 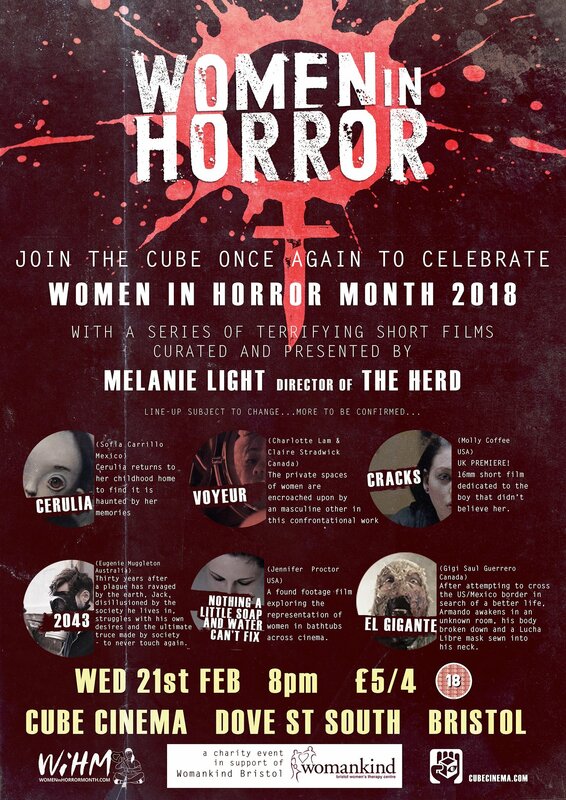 I am putting on some short horror films in Bristol at The Cube Microplex, screening short horror films directed by women and making money for a women’s charity in Bristol too! Get down on 21st February! 2018, 8pm.